Cofounder Danielle D. Duplin (left) of Agency, an incubator in Kendall Square, met with entrepreneur Mary Cronin. CAMBRIDGE — Business incubators tend to be buzzing hives of young disrupters. But a new co-working space for startups in Kendall Square is aiming for a different vibe. Agency, ramping up in a hip new Cambridge Innovation Center building at 245 Main St., styles itself as a “global longevity collective.” It’s designed as a gathering place for aging innovators. And it’s drawing an intergenerational mix of entrepreneurs — with a generous sprinkle of gray hair — working on projects to make aging less disruptive, and more fulfilling, for older folks. As better medicines, diets, and fitness regimens extend life spans, populations are growing older in most developed countries. Older people in the United States alone represent an $8 trillion market, according to Joe Coughlin, founder and director of the MIT Age Lab. But the market demand isn’t only for consumer goods: It’s for help with the myriad health, housing, transportation, and lifestyle challenges that accompany the graying of the planet. Agency was launched in November, with a $100,000 seed grant from the Baker administration. “Everyone knows we have to start thinking seriously about these issues,” said Tim Rowe, founder of the Cambridge Innovation Center, which is hosting the new collective. While startups are still being recruited, nine are already working out of its second-floor space. They’re developing products ranging from sensor-equipped braces called “exoskeletons” for people with injuries or neurological conditions to smart watches that detect falls and prompt seniors to take their meds at designated times. 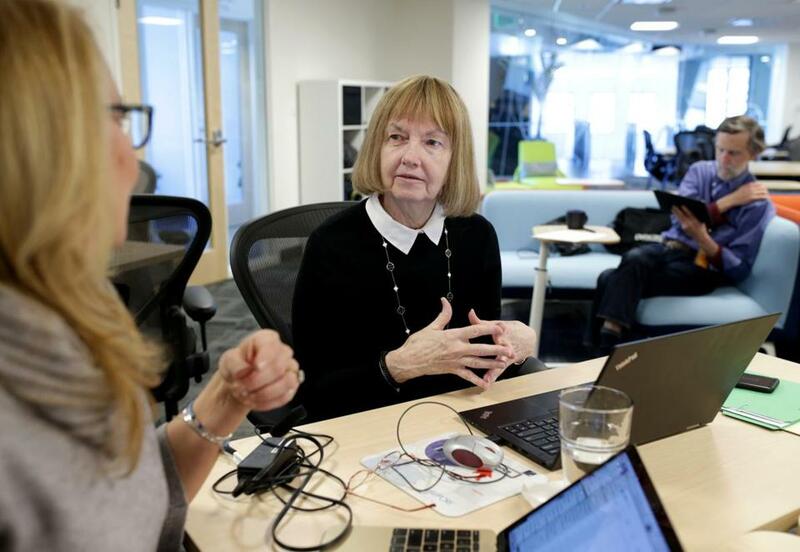 Agency was launched in November, with a $100,000 seed grant from the Baker administration, which is trying to position Massachusetts — a high-tech and health-care leader — as a hub for innovation about aging. The idea grew out of a hackathon held at the center’s Venture Cafe in 2017. It was run by Captains of Innovation, a group connecting big corporations with entrepreneurs, and sponsored by Sompo, a Japanese conglomerate that operates a chain of senior-care facilities. Boston-area innovators proposed a rapid-fire battery of ideas, ranging from new tests for biomarkers that indicate diseases to movement-tracking remote monitors to a public awareness campaign, “Talk to Tilly,” that combats social isolation by encouraging people to befriend their neighbors. Agency is a bid to replicate that model in a more sustainable way, Duplin said, and to capture the sense of possibility and spirit of cross-pollination at the hackathon. Other Agency spaces are planned to open over the next two years at innovation centers in Providence, Philadelphia, Miami, Tokyo, and Rotterdam in the Netherlands. While it’s not the first age-focused incubator — AARP runs the Hatchery innovation lab in Washington, a Cambridge holding company called Life Biosciences has launched multiple longevity startups, and other efforts are underway on the West Coast — Agency plans a multipronged approach. Cofounders Duplin and Carrie Allen plan a series of programs focusing on everything from health care issues to senior entrepreneurships. At the honeycomb-style working space here, complete with conference room and well-stocked snack bar, a sense of community is forming among those who have taken up residence. Recently, chatting over coffee with another Agency entrepreneur, 31-year-old Codi Gharagouzloo — who somewhat sheepishly admitted to being the youngest here — Cronin learned her startup is eligible to apply for a National Institutes of Health grant for “social engagement” companies. At another coffee, with Agency launch director Duplin, they discussed starting a Founders Over 55 group for Agency member companies and others this spring. 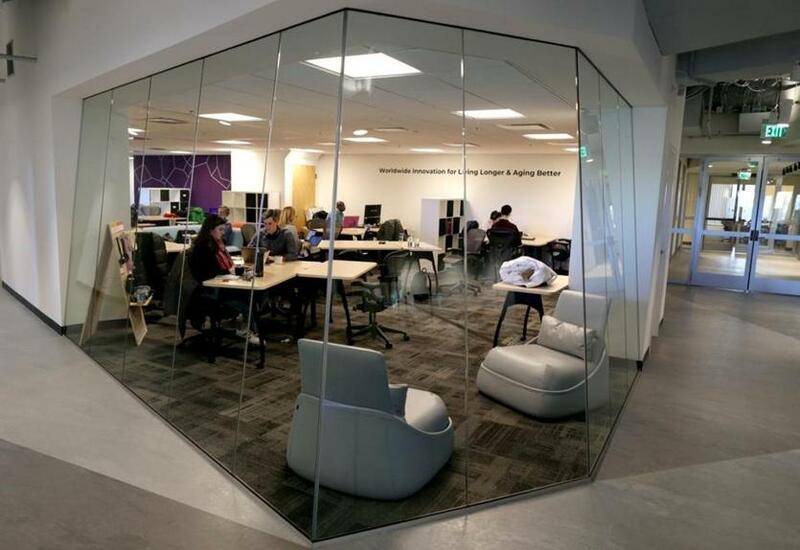 Codi Gharagouzloo, an entrepreneur/scientist who invented a medical imaging technology that can more easily detect Alzheimer’s disease, uses Agency’s shared space in Cambridge. Cronin, who has written 11 business books, hopes she’ll get the opportunity to help other entrepreneurs, many of whom are working on health or science enterprises. “It’s about being there to give feedback informally or listen to a pitch,” she said. Gharagouzloo, the chief executive of Imaginostics, is a scientist who invented a medical imaging technology that can more easily detect Alzheimer’s disease and other forms of dementia. His company is trying to commercialize the technology, potentially in partnership with a biopharma company. 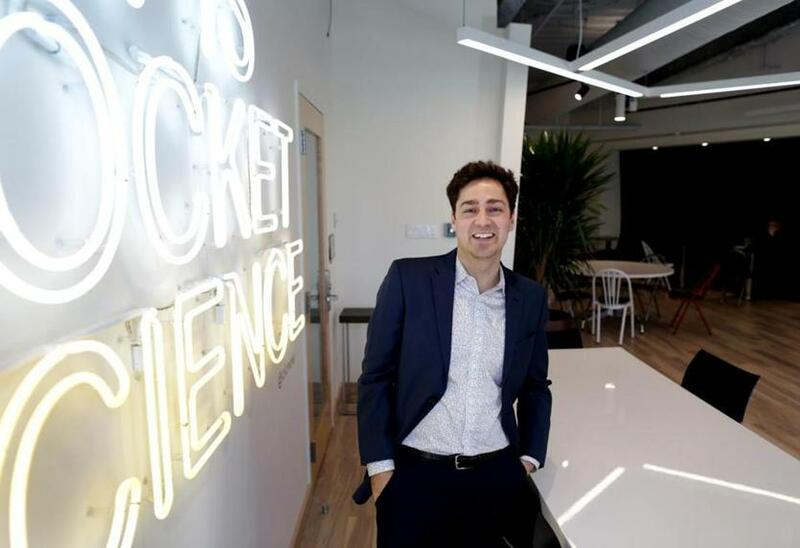 Gharagouzloo said he looks forward to collaborating at Agency with other scientific entrepreneurs but also with aging innovators in other fields.